This is the first in an occasional series of short articles on herbal additions to food and drink. Each featured herb is grown in the Master Gardener Demonstration Garden at the Glencarlyn Branch Library in Arlington County, Virginia, and used to make food or drink to be served as “tastes” at our annual AutumnFest celebration in September. The recipes used to make these “tastes” will also be included in this series of articles. The Library Garden is a place of respite and beauty, filled with a huge variety of flowers, trees, and shrubs. 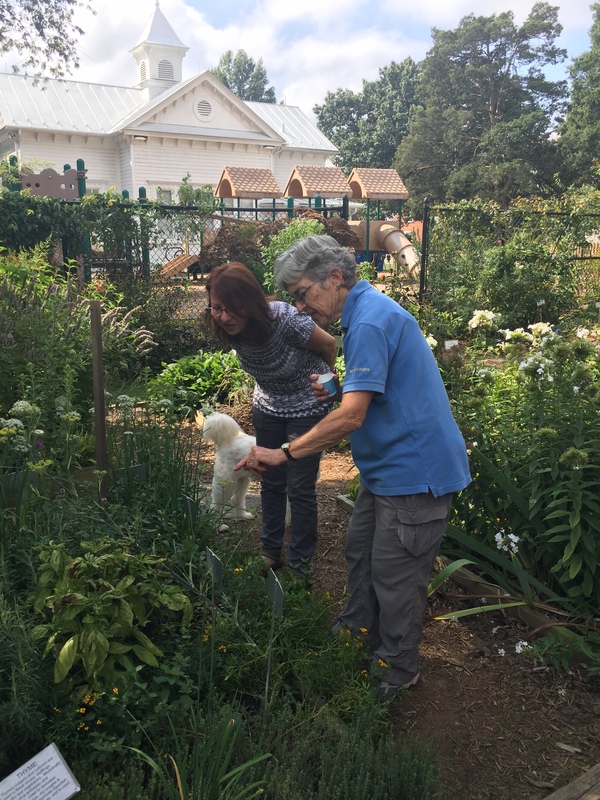 With these aids, Master Gardeners teach about pollinators, shade gardens, native plants, and much more. Teaching from the Garden is one of our favorite things to do. ­In this article we hope to entice you to taste a leaf of chocolate mint or chew on a fennel seed. 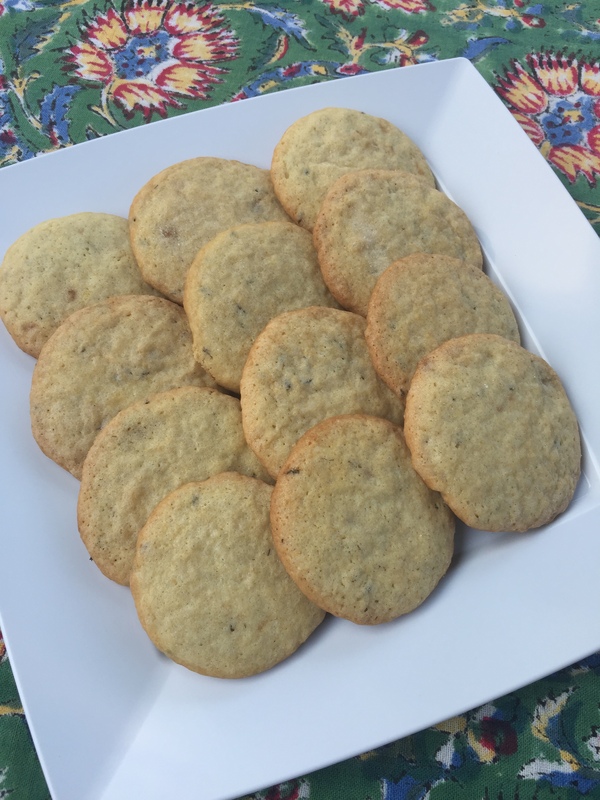 Chocolate mint brownies and lemon fennel cookies are just two of the many free herbal tastes and drinks that were available at this year’s AutumnFest celebration, on Sunday, September 17, 2017. Sometimes research teaches you facts you do not really want to know! 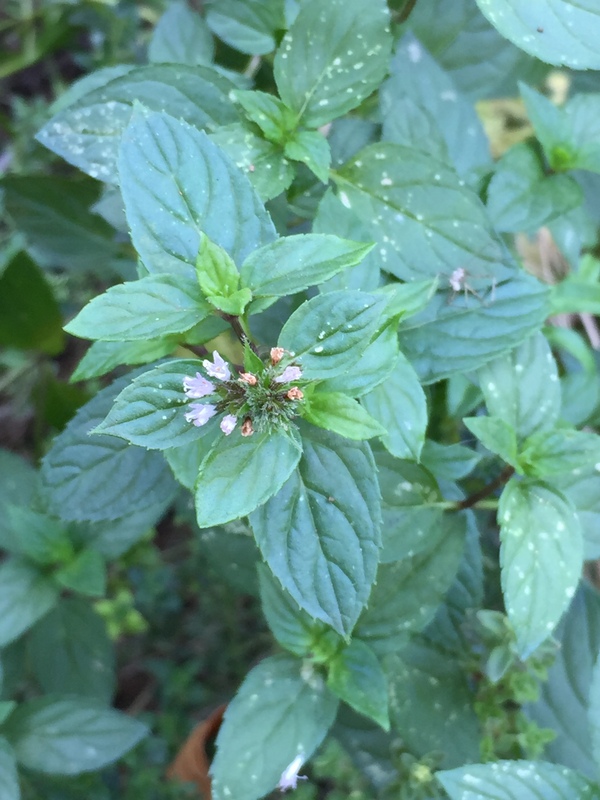 Looking up the herb “chocolate mint” I found out that it is considered a Peppermint with chocolate overtones, rather than a true “chocolate mint.” Mentha x piperita ‘Chocolate’ was created by a natural cross-hybridization between Peppermint and Mentha aquatica (Watermint). Indigenous to Europe and the Middle East, chocolate mint has spread across many continents. The genus name “Mentha” comes from Minthe or Menthe, a water nymph in Greek mythology, who was transformed by Persephone into a mint plant in revenge for Minthe’s ongoing affair with Hades, Persephone’s husband. Chocolate mint, like most other mints, will grow in part sun with moist soil. It tends to have a creeping habit, especially when its light-purple flowers start to form. For control, plant in a container. For premium flavor, cut back just as flowers begin to form. Use leaves in teas and desserts. Mint teas are traditionally used to aid in digestion and calm stomach inflammation. Research is currently being conducted to determine the usefulness of mint essential oils in calming irritable bowel syndrome (IBS). A great natural pest repellent, chocolate mint has been shown to repel ants, aphids, cabbage moths, and mice. When left to bloom, chocolate mint’s fragrant flowers will entice droves of beneficial pollinators to your garden. Personal “Research”: To entice children or partners into the kitchen, print the following recipe and make chocolate mint brownies!! Note: Bottled mint flavoring found in grocery stores does not give the same flavor or moistness. 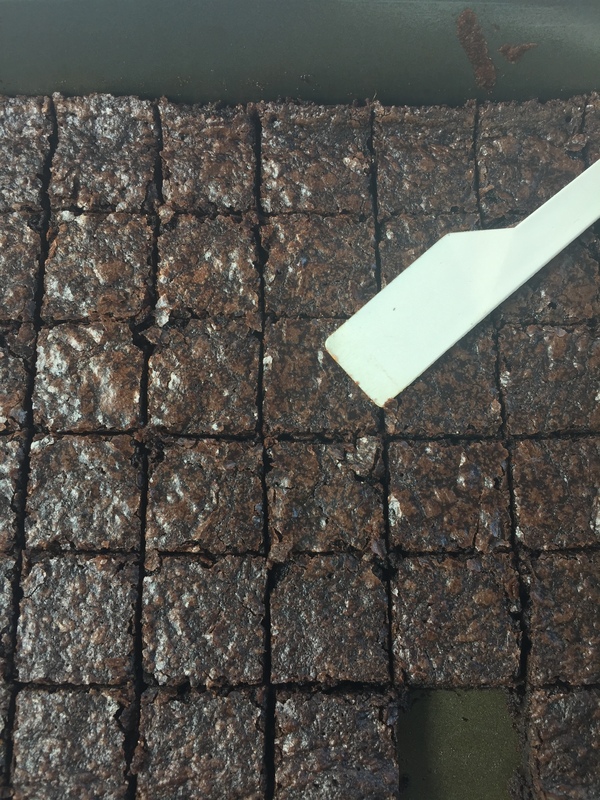 Preheat oven according to brownie mix instructions, for a 9”x13” pan―usually 350 degrees. Before making brownie mix, strip leaves from stems of chocolate mint (where possible, pull the larger leaves off their midrib―this is the tedious part!). Place small batches of the leaves in a mini spice grinder or a clean coffee bean grinder. Grind as finely as possible. Measure ¼ to ½ cup. Make brownie mix according to package directions, except add the mint leaves to the water, egg, and oil combination before adding the brownie mix. Mix all together until well-moistened. Thoroughly grease and flour a 9”x13” pan (or even better, spray with baking spray containing flour) so that brownies do not stick. Spread mix evenly in pan. Bake according to directions, but do not over-bake. When thoroughly cooled, use a plastic knife (like one you use for picnics) for cutting. These are moist, easy to make, deliciously minty brownies, and they freeze well. At the end of summer, leaves can be ground as above and frozen in ½ cup packages to make Chocolate Mint Brownies through the winter! Fennel is a perennial, pleasant-smelling herb in the Apiaceae (carrot) family. It grows very tall, has finely textured leaves and yellow flowers. Fennel seed is the fruit of Foeniculum vulgare. Dried fennel seeds are often used in cooking as an anise-flavored spice. But don’t confuse fennel with anise; though they look and taste similar, they are not the same. Fennel’s dried, ripe seeds are used both as flavoring in cooking and baking, and medicinally for a variety of ailments. Fennel seed can be made into a tea or sold in capsules, to be consumed as a digestive aid. In India and Pakistan, fennel seed is commonly roasted and eaten after a meal, with fresh breath as an added benefit. Like its “cousins” in the carrot family (parsley, lovage, dill), the fennel plant is a primary host plant for the Eastern Black Swallowtail caterpillar. 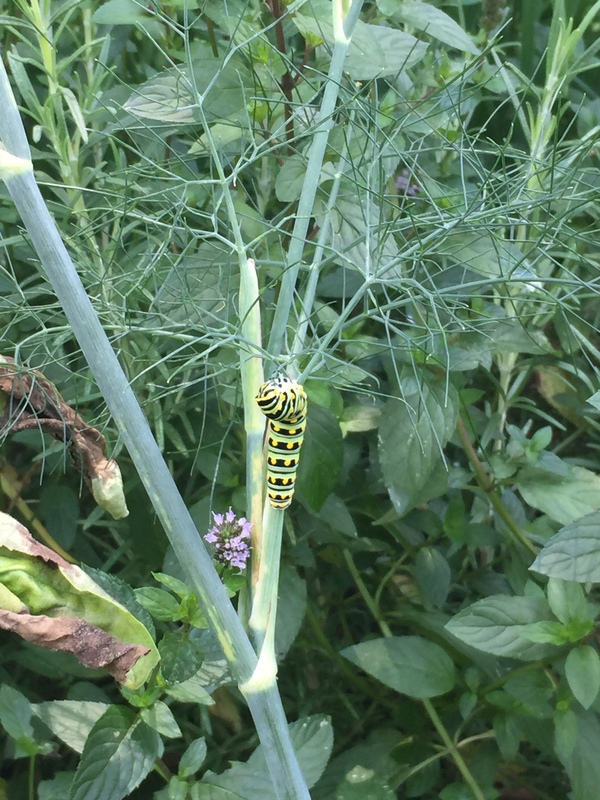 Black Swallowtail butterflies lay their eggs one at a time on the undersides of fennel plant fronds, so that when the larvae hatch, they will have their host plant leaves as food to munch on. The larvae will grow through five instars, or stages, before going into chrysalis. Makes at least 60 cookies. Make dough ahead. It needs to chill in the refrigerator for several hours or overnight. Preheat oven to 350 degrees. Stir or sift flour, baking soda, and salt together. Set aside. Put sugars and lemon zest in the bowl of an electric mixer. Mix on medium speed 1 minute. Add butter. Mix until pale and fluffy. Mix in eggs, one at a time, and then the lemon juice and fennel seed. Reduce speed, gradually add flour mixture, and mix until just combined. Cover and place in the refrigerator for several hours or overnight (so it is not sticky to work with). Scoop up a small amount of dough using a teaspoon and then use hands to roll into a ½ inch or slightly larger ball. Space balls about an inch apart on non-stick baking sheets (I used Silpat liners). Flatten each ball with the bottom of a drinking glass dipped into a small bowl of granulated sugar. Bake cookies until edges turn golden brown, about 10 minutes. Take out and let set on cookie sheet for 3-4 minutes. Then transfer cookies to racks and let cool completely. Cookies can be stored in an airtight container at room temperature for several days, or refrigerated or frozen. Chocolate Mint Plants | Mentha X Piperita | Chocolate. (n.d.). Retrieved January 15, 2018, from https://www.thegrowers-exchange.com/Mint_Chocolate_p/her-mt02.htm. 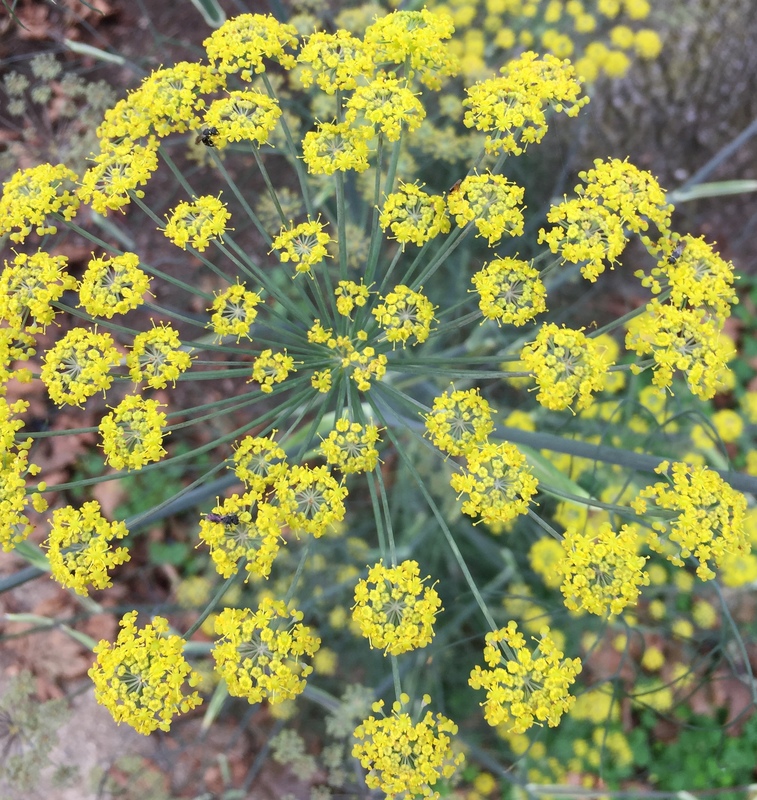 FENNEL: Uses, Side Effects, Interactions and Warnings. (n.d.). Retrieved January 15, 2018, from https://www.webmd.com/vitamins-supplements/ingredientmono-311-FENNEL.aspx?activeIngredientId=311&activeIngredientName=FENNEL. Fennel Seed health benefits. (2017, July 14). Retrieved January 15, 2018, from https://www.healthbenefitstimes.com/fennel-seed/. Mentha × piperita f. citrata ‘Chocolate’. (n.d.). Retrieved January 15, 2018, from http://www.missouribotanicalgarden.org/PlantFinder/PlantFinderDetails.aspx?kempercode=a246. Missouri Botanical Garden (MBG). Peppermint. (2018, January 2). Retrieved January 15, 2018, from https://en.wikipedia.org/wiki/Peppermint. This entry was posted in MG in the Garden, Recipes. Bookmark the permalink.